If you are looking to outfit your FN/FAL rifle with the latest add-ons, you need a guard/rail compatible with today's modern equipment. For many rifle additions, KeyMod is the only way to go. New from AIM Sports, one of the industry's premier firearms equipment manufacturers, the AIM Sports 11.3" FN/FAL KeyMod Handguard gives FN/FAL users extensive KeyMod options in one durable, secure and easy-to-install handguard. Featuring a drop-in design for standard and metric FAL variants, this KeyMod handguard is machined from 6061 aluminum and hard-coat anodized for superior strength. This model has a universal 8-row KeyMod design for increased modularity. If you are looking to outfit your FN/FAL rifle with modern, KeyMod-compatible equipment, this is the product for you. 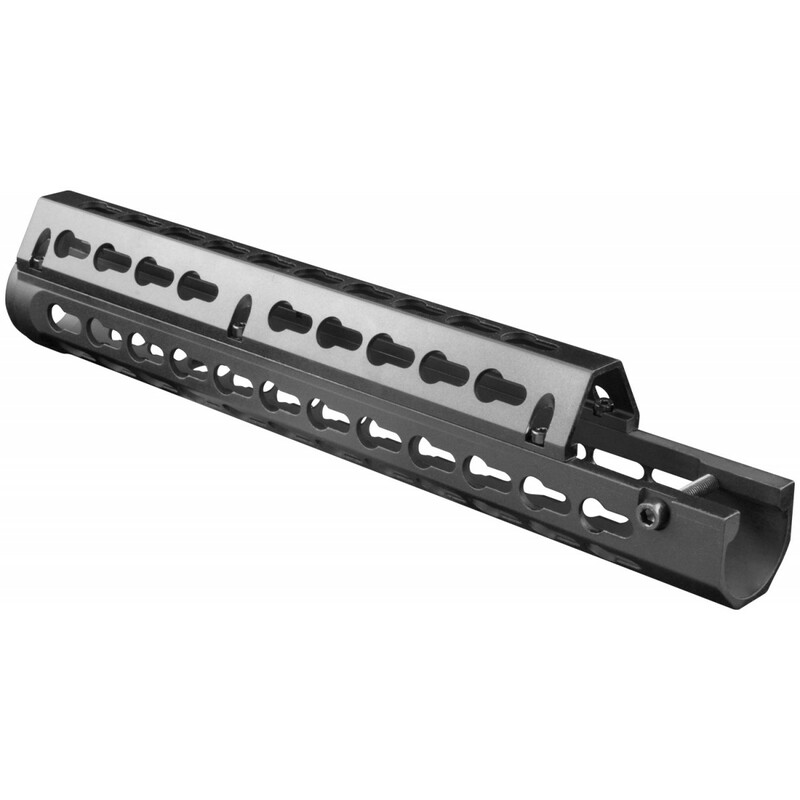 Order the AIM Sports 11.3" FN/FAL KeyMod Handguard in black here at Airsoft GI.